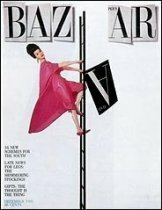 Henry Wolf, the graphic designer and photographer who, as art director of Esquire, Harper's Bazaar and Show magazines in the 1950's and 60's, held sway over American periodical design, died on Monday at his apartment in Manhattan. He was 80. ____He was found dead by his assistant, though the cause of death has not yet been determined, said a friend, the designer Ivan Chermayeff. ____Few magazine art directors at the time wielded more creative control than Mr. Wolf, who was known for his bold yet simple use of expressive typography, surreal photography and conceptual illustration. Rather than accept the typical role of an acquiescent layout artist, he closely collaborated with editors to define their magazines' personalities. He selected typefaces; commissioned pictorial features from well-known or newly discovered photographers and illustrators; and decided what to feature on covers. ____"Henry had an intuitive but acute intelligence," said his former assistant at Esquire, the film director Robert Benton. "You could see the thought in his layouts. Anything that didn't have meaning was cut out." ____Mr. Wolf was often outspoken on the state of magazines in general, and quick to note that good content was neutralized when editorial material and design were not in sync. "An enlightened despot would be a big help in publishing," he said in a speech titled "What's Wrong With Magazines," published in Print magazine in 1965. He insisted, "A magazine should not only reflect a trend; it should help start it." ____Mr. 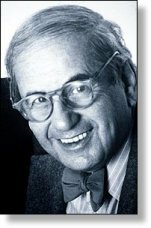 Wolf joined the advertising agency McCann Erikson's Center for Advanced Practice in 1965 and later become creative director of Trahey/Wolf Advertising. By 1971, after determining that there were no more magazines for him to design, Mr. Wolf devoted himself to advertising and editorial photography and opened Henry Wolf Productions. He photographed elegant fashion layouts and still lifes, often at his studio in a converted Upper East Side carriage house, for clients like Saks Fifth Avenue and I. Magnin, as well as advertisements for Xerox, I.B.M., Revlon and DeBeers. ____Mr. Wolf taught magazine design and photography at the School of Visual Arts, Cooper Union and the Parsons School of Design. He received the American Institute of Graphic Arts Medal for Lifetime Achievement in 1976 and was inducted into the Art Directors Club Hall of Fame in 1980. ____He is survived by his sister, Joan Slawson. His marriages to Renate Elias and Macha Meril ended in divorce. ____Mr. Wolf was born in Vienna on May 23, 1925, and moved to Paris as a teenager to study art. In 1941 he immigrated to the United States and took classes at New York City's School of Industrial Arts. He also worked in type and printing shops. He joined the Army in 1943 and served with an intelligence unit in the Pacific until 1946, when he took a job in a commercial art studio. On the side, he studied design and photography, with the legendary art director Alexey Brodovitch, and painting, with Stuart Davis. ____In 1951 he became an art director for the State Department, designing publications and posters for overseas use. The next year he took a job in Esquire's promotion art department as a junior art director. ____Five months later, in a move that surprised his peers and himself, he was promoted to Esquire's graphics editor. At 26, he was one of the youngest design stewards at any national magazine. Arnold Gingrich, the magazine's founding editor, had recently returned after a temporary retirement, during which Esquire had become ostensibly a girlie magazine, with some mediocre fiction and fashion coverage, and an overall layout full of novelty lettering and sentimental illustration. Gingrich sought to cure its most superficial ills with a bright new talent. Shortly after that, Mr. Wolf was named art director. ____Mr. Wolf took two years to refashion the magazine into exactly what he wanted. He introduced witty photographic covers (some of which he shot himself) that cleverly hid the magazine's famous trademark, a mustached gentleman named Esky; elegant interior typography; and a stable of modern artists, inc luding Ben Shahn and Richard Lindner. "Still," he lamented in his soft Viennese accent, "I couldn't get rid of the girlie gatefold for some time because Gingrich didn't want to lose that part of his audience." However, he was given as many as eight pages in each issue to present whatever he wanted, including visual essays on auto racing and jazz. ____In 1958 Mr. Wolf succeeded Alexey Brodovitch at Harper's Bazaar. In 1961 he became art director of a progressive new arts magazine, Show, where his covers were noteworthy for their pictorial wit and elegance. His Valentine's Day cover in 1963, for example, was a high-contrast photograph of a naked woman with an X-ray machine over her breast, revealing a graphic red heart. An obituary of the graphic designer and photographer Henry Wolf on Feb. 16 misstated his age and referred incompletely to his departure from his native Vienna as a teenager. He died at 79, not 80. Although he indeed spent time in Paris studying art, he and his family were Jews who fled the advancing Nazis and, starting in 1938, traveled through France and North Africa before arriving in the United States in 1941.